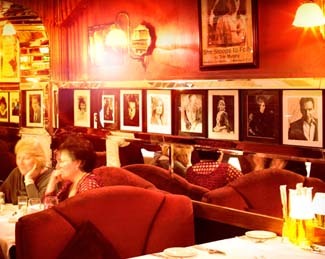 A discreet Hollywood style facelift has injected new life into Rhona Teehan's theatrical grande dame of a restaurant, going strong since 1956. Seats 110. Air conditioning. Children welcome (up to 9pm). D Mon-Sat, 5-11.30pm. Pre-theatre D 5-7pm €25, but table to be vacated by 7.45pm - also á la carte,. House wine from about €19. Closed Sun, 25 Dec - 2 Jan, Good Fri. Amex, Diners, MasterCard, Visa, Laser. 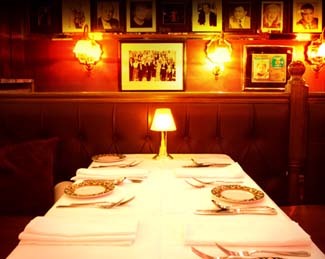 A discreet Hollywood style facelift has injected new life into Rhona Teehan's theatrical grande dame of a restaurant, now in its 57th year. 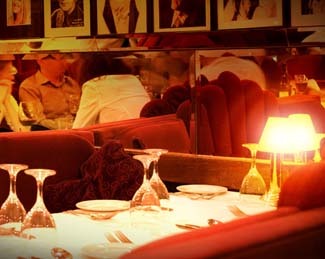 Designer smokey gold walls replace the scarlet flock but the black and white photos of visiting stage and screen stars remain, along with the cosy crimson velvet banquettes and swaggy stage curtains that define the connecting warren of rooms. 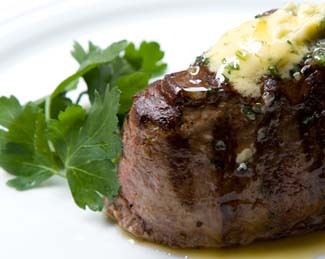 Service orchestrated by Robert Doggett, Dublin’s doyen of maitre' d's, remains as smooth and welcoming as ever, while crisp white linen, sparkling wine glasses and impeccably laid cutlery provide the backdrop for an elegantly pared down menu. Provenance is to the fore in up-to-date starters like Castletownbere crab cakes with crème fraiche, dill and caper sauce or roast beetroot with grilled St Tola goat cheese, but the silky chicken liver paté of happy memory is still there, now in a stylish quenelle with plum glaze and grilled sour dough. Desserts offer tried and true comfort in vanilla creme brulée, apple and blackberry crumble, lemon posset and chocolate brownies, with a good selection of liqueurs and specialty coffees. Value abounds on a well selected wine list, with most falling into the €25-€30 price range, and a good few offered by the glass. 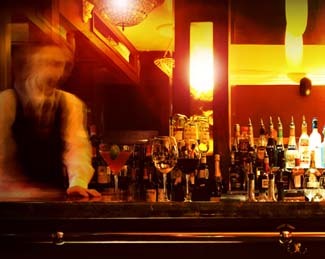 Glamorous cocktails from a classic dry martini to Bellinis and daiquiris set the mood for the nearest thing you'll get to a Hollywood experience in Dublin - and, as ever, there’s no knowing who might walk in the door. 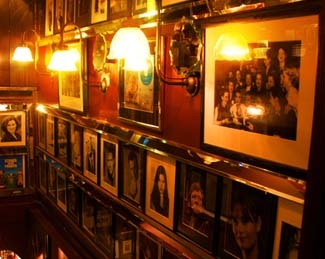 Updated perhaps, but the Troc remains one of Dublin’s - and Ireland’s - most atmospheric restaurants. A place to treasure.